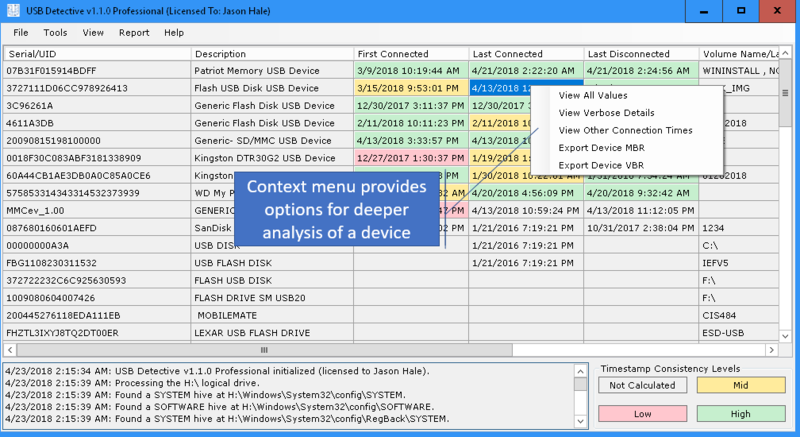 USB Detective incorporates dozens of data points to identify and correlate USB device artifacts. USB Detective organizes its findings to allow you to quickly identify misleading timestamps and streamline the investigation process. Multiple reporting mechanisms allow for easily-digested Excel reports or verbose reports for deeper analysis and research. Enterprise licenses are also available. For more information, submit a request using the Contact page. Special pricing for law enforcement agencies is available. Please submit a request from your agency email address for more information. Want to stay informed about the latest changes in USB Detective and receive special promo codes and content via email? Join our mailing list! "This is fantastic and perfect for court! I love that it not only gives a great summary of the USB analysis but it also give you a detailed log of the forensic artifacts it is using to give you the information for each device. It follows Rule 702 of expert witness testimony!" "If you do forensics in support of IP theft involving USB devices, you need USB Detective! 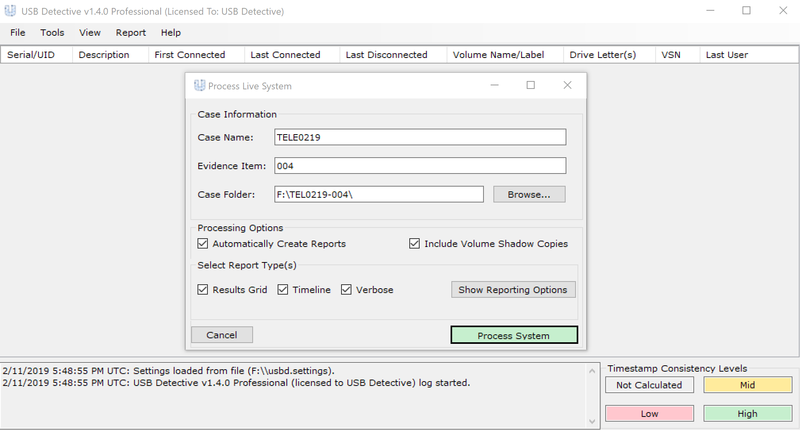 Comparing the timeline information provided by USB Detective to one of the leading commercial tool's USB report, USB Detective is the hands down winner." 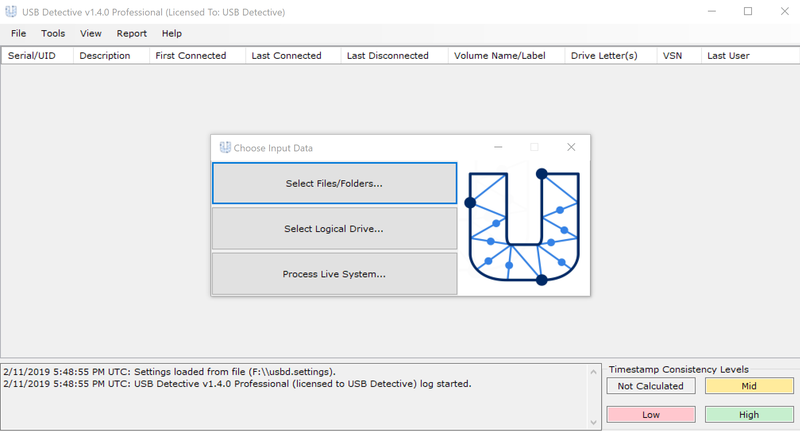 After testing several USB forensic tools, all of which were inadequate in some area, I discovered USB Detective. This tool turned out to be exactly what we were looking for. It’s fast, accurate and has great detailed reporting options. I really like the timestamp consistency levels. It’s by far one of the best USB forensic tools available. I highly recommend. "The other tools I tried (including two major commercial suites) did not find the critical USB device at all, but USB Detective did. This is a great tool!"